Fundraiser by Perpetua Kamau : Ann &Caroline Karanja+her 3Kids ET Plane Crash!! Ann &Caroline Karanja+her 3Kids ET Plane Crash!! Words cannot express how saddened we are to announce the passing of our beloveds Caroline Karanja, Her three babies Ryan 7yrs old, Kelly 4yrs old and Rubi 7months old, and Carol's mother Ann Karanja. They were on their way to Kenya from Canada to visit family when the plane they were traveling in, Ethiopian airline Crashed 6minutes after take off in Ethiopia and killed all passengers on board, on March 10th 2019. 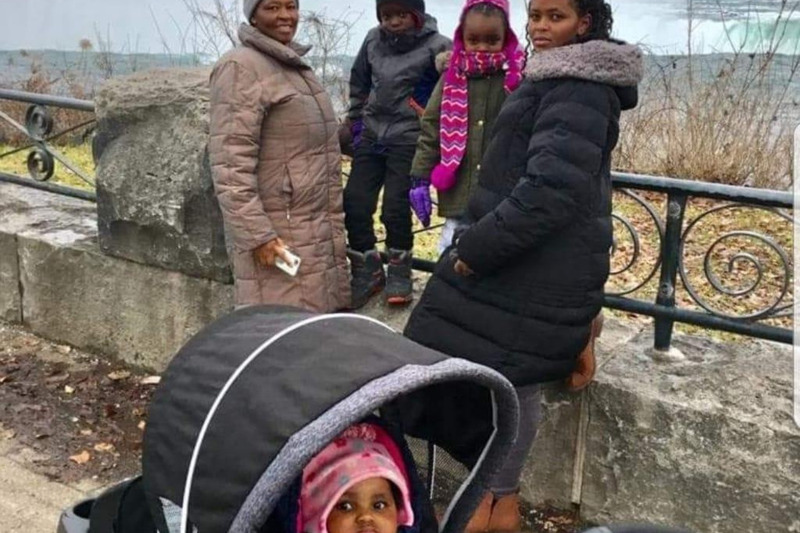 Carol's mom had visited her in Canada to help her since she had just had her 3rd born baby Rubi and they decided to travel to Kenya for Easter holidays. That was not to be. Carol was a loving wife to Paul Njoroge and mommy to her 3 beautiful angels. She was the daughter of Mr John Karanja Quindos of Nakuru, Kenya. Loving sister to Quindos, Kevin and Kelly Karanja. Carol worked for World Energy in Canada as an Accountant. Ann was the adorable wife of Mr John Karanja Quindos and a wonderful mommy to the above mentioned. She is a retired teacher who taught her students with a lot of passion. She was always smiling. she was also a community leader, a mentor among many other attributes. Above all, both Carol and Ann were God fearing. They were were funny, loving, independent and selfless. No enough words can describe them. We kindly request you to help the family with making sure that this 5 beautiful souls get a wonderful send off. No amount is too little. The amount you give will help with funeral costs and arrangement, traveling for immediate family members back and forth from Nakuru to Nairobi until DNA process is all complete, and other unforeseen expenses. We do not have a complete budget yet but its being worked on. Once we find out the actual amounts, we will update it. I have know the Karanja Quindos since I was a little girl in Primary School. They are our neighbors in Nakuru. Mrs Karanja was not only my Primary school teacher but also a good friend of mine and my family. We were intouch even when she came to canada and we last talked to her on March 3rd just a few days before her demise. Carol and her siblings are like my brothers and sisters. The family has given me the consent to go ahead and run this campaign on their behalf. We loved you but God loved you more.